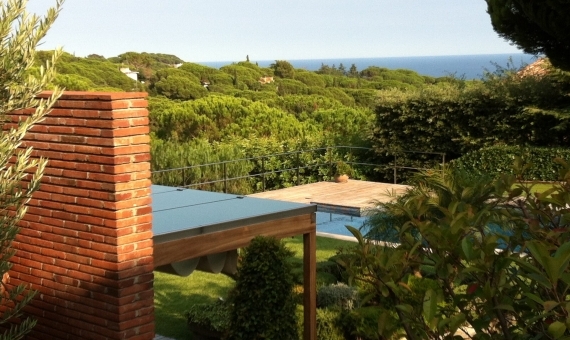 Villa for sale in Sant Andreu de Llavaneres of Costa Maresme, 35 km from Barcelona. 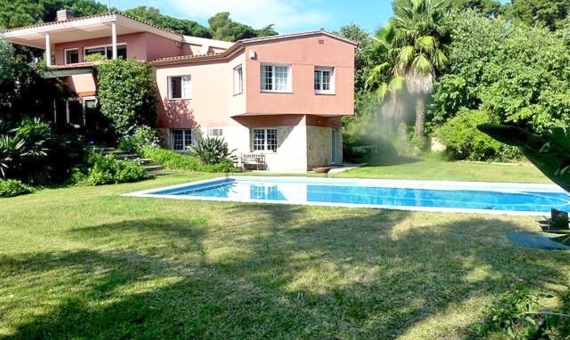 It is located in the centre of the town, within a walking distance from all the necessary amenities and just a 2 km from the sea. 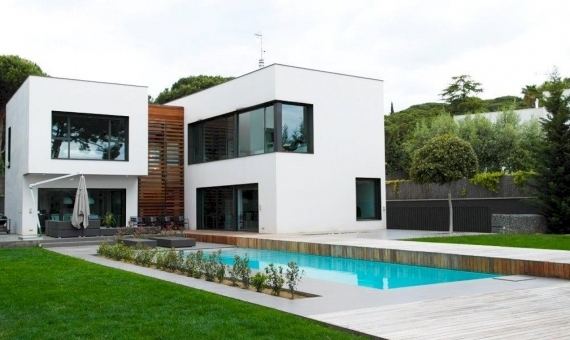 The house totalling 652 m2 is built on a plot of 2.682 m2 and consists of 3 floors. There is a spacious living room with a fireplace, a fully equipped kitchen and 6 bedrooms en suite. There is also a room for service with a bathroom and ironing room, a wine cellar with a fireplace, laundry, parking and garage for 6 cars. 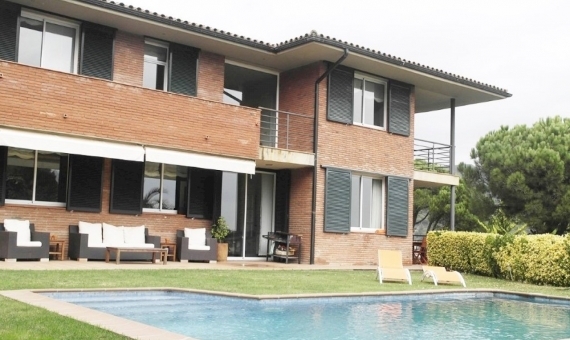 The house is surrounded by private garden with a swimming pool and panoramic views to the sea and mountains.